Mike Woods is Professor and Head of the Department of Agricultural Economics at Oklahoma State University (OSU). 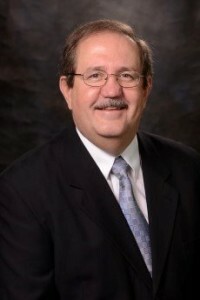 He recently served from August 2012 to August 2014 as Interim Vice President, Dean and Director for the Division of Agricultural Sciences and Natural Resources (DASNR). Prior to coming to OSU in 1986, Dr. Woods was a state extension specialist at Texas A&M University. He earned a BS in Economics and Finance from Arkansas Tech University (1975), a MS in Agricultural Economics from the University of Arkansas (1978), and a PhD in Agricultural Economics from OSU in 1981. Throughout his career, Dr. Woods has always held a significant extension appointment often with a research and/or a teaching appointment. He has devoted his career to providing exemplary rural economic development educational programs through scholarship, teaching, research, and public service. Dr. Woods recognized early on that successful extension programs were built on research-based information and succeeded when partnerships and collaborations were in place. His extension program focused on community economic analysis and included modules on economic/social data access and interpretation; strategic planning; and retail trade and economic impact analysis. Packaging these modules and effectively using media, including web delivery, led to 30 to 40 programs being delivered across the state each year. County Educators, Area Specialists, and agency partners were involved in delivering and interpreting these studies’ results. Dr. Woods taught Rural Economic Development at OSU from 1991 through 2009. During that time, enrollment in the class tripled. His course and instructor evaluations were consistently high. Current state legislators and agency heads are counted as former students. Currently Dr. Woods teaches a career development class with average enrollment around 100. A popular feature of this course is the student’s alumni interview, which engages alums and gives students an opportunity to network. State level activities have been a strong point of Dr. Woods’ programming. He was appointed by the Governor to the Rural Advisory Team, Rural Action Partnership Program. Dr. Woods has served on multiple state-wide task forces developing rural development plans and strategies. He is regularly called upon by the State Legislature and state agencies to assist with policy issues. He has met with virtually all the state-wide agricultural, rural, and commodity groups to provide insight and guidance related to rural issues. His regional contributions include serving as a Senior Fellow with the Southern Rural Development Center (SRDC), providing leadership for a national e-commerce pilot project led by the SRDC. Dr. Woods adopted web-based technology early, teaching a rural tourism course offered online nation-wide by the SRDC. Dr. Woods has also been visible and active nationally. He has worked with multiple universities and groups across the country developing and delivering educational programs. He was a founding member of the National Association of Community Development Extension Professionals (NACDEP) and served as President in 2008. He currently serves as Chair of the Blue Ribbon Panel on Economic Opportunities, an outreach group with the Council on Food, Agriculture, and Resource Economics (C-FARE).